"FELDPOST MIL MISS. 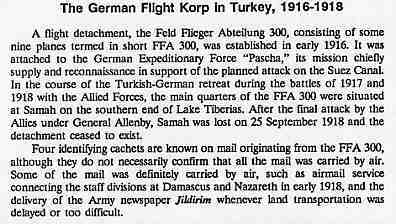 / 1.EXPEDITIONSKORPS 29.6.1916" c.d.s of the German military mission in Palestine on postcard send by a member of the German Air Force "FLUGFLIEGER 300" from Jaffa to Zella / Germany. 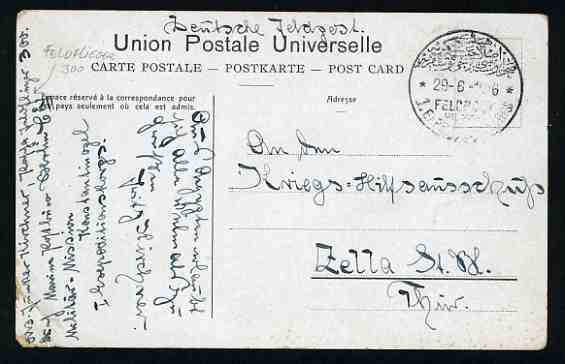 Rare and signed by Haspel BPP.